Aroma: One of the best noses I've ever smelled on a blanco. Full of agave and big smells of citrus fruit and flowers. Initial Taste: Agave with floral note and hints of fruit. Body: Mellow agave with nice light compliments. Finish: Nice medium linger with a nice spicy agave kick at the end with a touch of smoke. This is flat out an awesome blanco. Full of agave and nice complimentary flavors. For under $30, this is a great buy and a cool looking bottle too. Go out and get this one. Although not readily available here in BC, this has become one of my preferred blancos. Perfectly cristalline and viscous, it is very inviting in a Reidel glass. Agave, minerals and florals dominate the nose. Sweet and rich initially, body is moderate and pleasantly balanced, with minimal alcohol bite and low bitterness. Earthy and deep agave flavours persist through a lengthy (for a blanco) finish. This is a very satisfying blanco which I would not be inclined to mix. Chaya may lack the depth and elegance of 4 Copas, but definitely sits up there on the same shelf. Tasted 07/25/08 out of double ball glass. Chaya Silver is a good blanco. A little bitter, but nothing I can't take. I think this one would be great straight or mixed. Aroma: Very distinct fruit and floral. Initial Taste: A think mouth feel, upon entry it's sweet with low bitterness. Body: A balanced agave body, with very fruity hints and slight earthy tones. Finish: Of medium duration, with a slight alcohol burn. Chaya Silver NOM 1420 Tasted on 8/3/07 at 4:30pm. I tried this bottle at Zocalo, which cost me $8, and tasted it out of a snifter. With a clear color, this tequila has intense aromas of floral and fruit. Other aromas include moderate earth and spice. 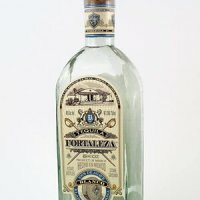 The tequila has a thin mouth feel and the first sip is sweet with mild bitterness. Chaya Silver has numerous arrays of flavors. Intense flavors of earth and agave are followed by moderate floral notes. With a medium duration of flavor, tastes of mild smoke, fruit, and spice bring this tequila to a slightly numbing finish. 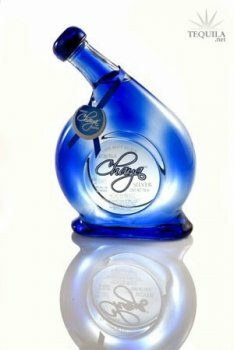 Chaya Silver has received the rating of 90 points out of 100.